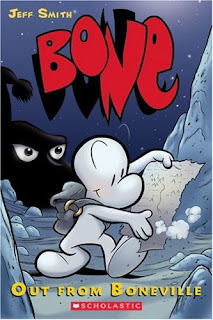 I was able to finish Bone 1 last week and I would say that it is worth the price. Although you need to buy book 2 for the continuation of the story. The characters are unique and the story is comparable to Asterix. It's funny and the art is incredible. If you're into the corporate world or hate your job, go and buy "The adventures of Johnny Bunko". Simply GREAT. This is my favorite manga business book so far. It is about Johnny, an average accountant, who met a career expert genie. He is more like you and I... and feels like wasting his time working in the company. KC - Putek~! sana ako na lang nakakuha!! !